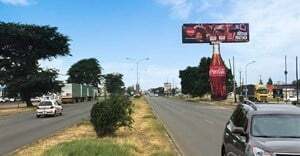 For far too long now, South African brands have been buying digital advertising space based on return on investment (ROI) data, but have been throwing good money after television advertising without tracking its performance. Why? Partly because attribution software is yet an unknown in South Africa, but also because brand managers are still coming to terms with the difference between media performance (reach, frequency) and client performance (website visits). 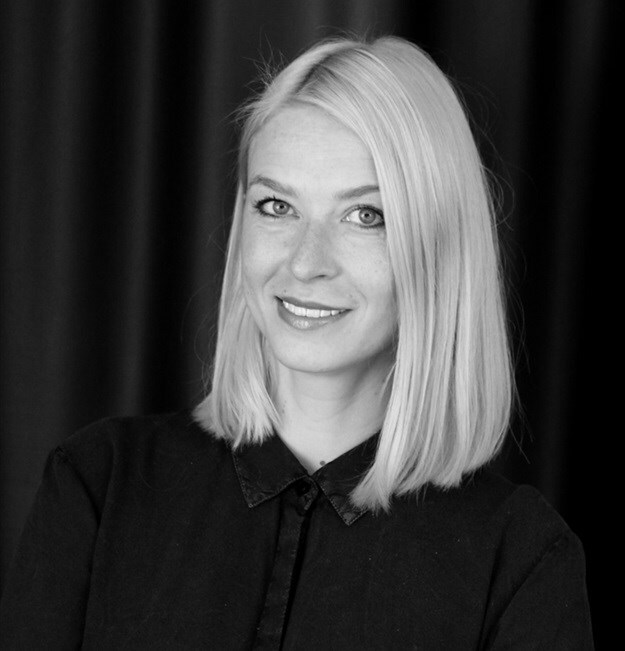 Irina Herf, general manager of DCMN South Africa. Performance TV marketing measures the success of a TV campaign based on the number of website visits that are received as a direct result of a TV ad. By using the data from attribution software, channels, days and dayparts that don’t contribute positively to the KPIs can be replaced with better performing options in the next campaign. The data gathered also allows for better decision making when it comes to creating spots, providing valuable feedback about spot length, calls to action, etc. Even when a brand decides to use the same creative repeatedly, making small changes can have an impact. Using attribution software, therefore, takes the guessing game out of TV planning and buying. I believe that 2019 will be the year that South African brands start taking full advantage of available solutions to track, measure and optimise both online and offline media, making the most out of shrinking marketing budgets. Attribution software tracks data from a web or mobile site to see how it is impacted by TV campaigns. Because not all traffic on the site is likely to come as a result of TV spots, the data is filtered and limited to sources of traffic that have a high likelihood of being TV-generated. To be able to identify effects from a TV spot, a baseline of normal traffic on your site will be established. This baseline is calculated dynamically, minute-by-minute during the spot period, based on the levels of traffic directly surrounding each individual spot airing. This approach makes sure that daytime, seasonal and other normal variations are factored out of the equation. 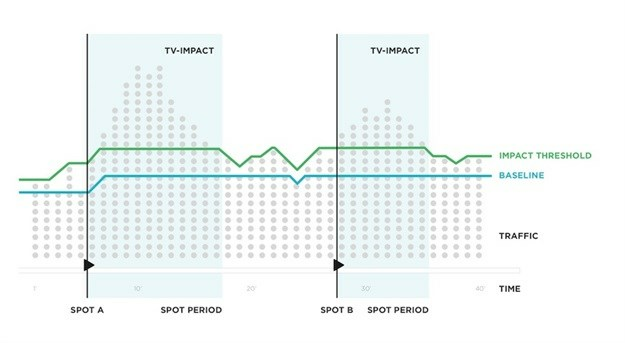 To identify changes in traffic that happen as a result of TV spots, the focus remains exclusively on traffic to the site within a given spot period. Not every deviation from the baseline is necessarily the result of a spot airing, so changes in traffic are only attributed to a TV spot if they differ significantly from organic fluctuations. To avoid getting false positives, an impact threshold is calculated above which the traffic is considered to be TV-generated. Once the traffic that is driven to your site as a result of TV has been identified, the impact is calculated. To do this, the statistically significant changes in the number of visits for every single spot airing is calculated on a minute-by-minute basis. Users that would have visited the website organically are excluded, as established by the baseline. This way, the uplift that excludes all normal variations in traffic is precisely estimated. Sometimes within a campaign, multiple TV spots will be running on different networks simultaneously. 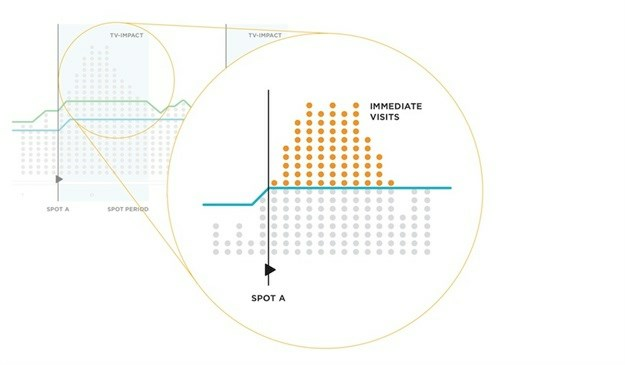 In this case, if the spot period for multiple spots overlap, the measured number of immediate visits between the spots are allocated according to the spot score for the overlapping parts. 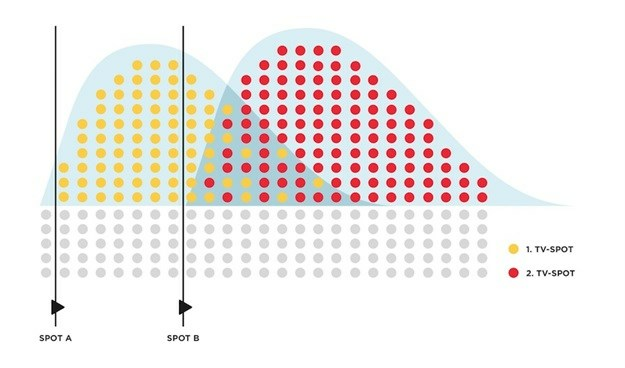 Spots with a higher score get more traffic allocated than spots with a lower scoring. Each visitor who comes to your site during a given spot period is tagged as a likely TV-generated visit. All conversions from these visitors over time are measured, whether this conversion happens in the user’s first visit or even weeks later. To correct for visitors who came to the site and convert as a result of normal traffic during the same time period, the conversions are adjusted proportionately at the ratio of immediate visits to organic visits, minute-by-minute. Generally, TV visitors have a higher probability of converting, but a strict ratio-based calculation is used to provide a more conservative estimate of your conversions. Because ROI is the decisive metric for successful campaigns, deeper insights into conversions are proved. Both immediate and total conversions that result from your TV campaign are tracked so you can better understand your customers’ behaviour. For overlapping spots, the conversions are allocated to the same ratio as the allocated immediate visits. 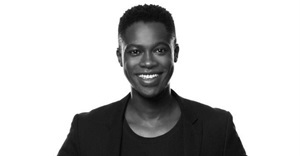 Running a successful TV campaign depends on making the right decisions on several parameters. Choosing the right channels, best performing weekdays and times is no easy task, and it often means the difference between a TV campaign that doesn’t perform and one that drives your business. To make these decisions, you need to understand which options will deliver the best key performance indicators (KPI’s). DCMN’s attribution software, DC Analytics, is free to use. Marketers can visit dcanalytics.com to sign up for free. After integrating a tracking code and uploading TV schedules, they will start receiving meaningful insights on the campaign performance.